Zeeko, an Irish EdTech company, in its 2018 Trend Report, which involved a survey of over 35,800 children, found that between 10% and 13% of primary school children in Ireland reported being cyberbullied and 20% to 30% reported witnessing cyberbullying. 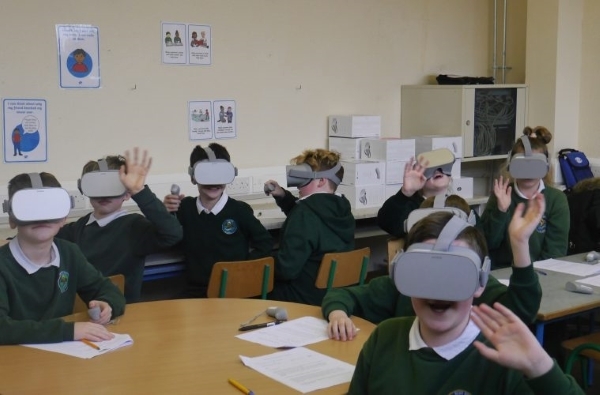 Coinciding with Safer Internet Day Zeeko has today announced that it has developed a novel virtual reality (VR) training lesson, which it plans to roll-out to primary schools across Ireland, to address the issue of bullying including cyberbullying. Aimed at 5th and 6th class primary school children, ABC_VR (Anti-Bullying Course Virtual Reality) is a simulation training lesson that transports students into a bullying situation. The storyline of the lesson involves a young person, dealing face-to-face with bullying in a school environment. Students virtually experience bullying from the perspective of a victim, a bully and a bystander through VR headsets. The aim of the lesson is to help students gain a better understanding of what bullying feels like for the different people involved and to improve their empathy skills. At the end of the ABC_VR lesson, the participating students complete a worksheet which asks a number of questions about bullying and their experiences which are returned to Zeeko. Zeeko then prepares a summary report which is sent to the school. Zeeko, headquartered at NovaUCD, regularly hosts internet safety workshops in primary and secondary schools across Ireland, to help young people to improve their digital literacy skills. Through ABC_VR Zeeko aims to breathe new life into bullying awareness education and make it more informative and engaging for children. Using virtual reality technology can help children understand the emotional pain that is attached to bullying by placing them directly into a similar situation. For further information on ABC_VR, or to book lessons for your school, contact the Zeeko team via info@zeeko.ie. Safer Internet Day is an EU initiative and aims to educate and raise awareness about protecting children online, so that they can enjoy responsibly the benefits of the internet, without compromising their safety and privacy. It is promoted in Ireland by the Webwise internet safety initiative of the Professional Development Service for Teachers (PDST).